10. 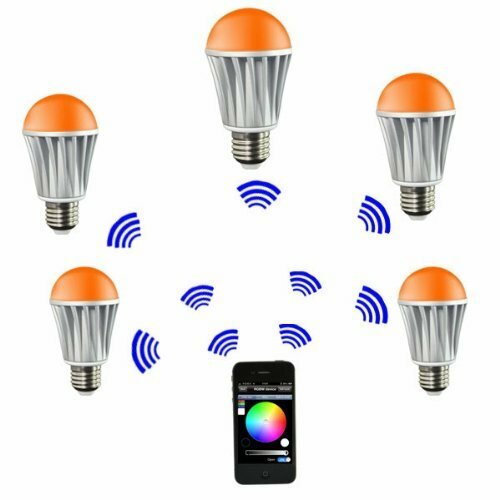 WiFi Smart LED Light Bulb – Control lights with your phone! I first saw this almost a year ago and thought it was the greatest thing ever. These lights are pre-programmable to your liking. With the phone app, you can dim the lights, change the colors, create automation and schedules. The possibilities really open up once you think about hacking the app and the hardware itself!